Kachidoki Bridge (pronounced Kachidoki-bashi) is a tourist attraction that you can easily access from Tsukiji Market and its Outside Market. It’s a historical bridge that was built about 70 years ago. This bridge, which connects the Tsukiji and Kachidoki areas, is used by many people, even today. You can walk across the bridge and enjoy the breathtaking view of the Sumida River and the surrounding area from the bridge. To learn more about sightseeing near the Tsukiji area, check out our article, “3Places in Tokyo to Go when you come to Tsukiji Market”! Kachidoki Bridge runs across the mouth of the Sumida River. This historical and aesthetically pleasing bridge, was completed in 1940 and is now designated as an Important Cultural Property of Japan. Many people use this bridge which connects Tsukiji Market and Harumi Street. It’s short enough to walk across when you’re in the Tsukiji area for sightseeing. This bridge also attracts architecture lovers. On the bridge, you can take great photos that capture the beautiful scenery of the Sumida River and the surrounding townscape. 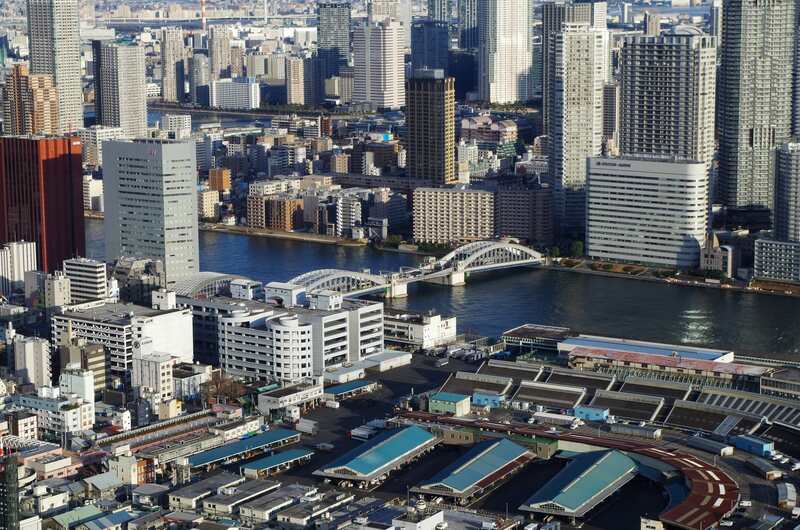 Kachidoki Bridge is one of the best places to visit when you’re in the Tsukiji Market area. After enjoying the delicious food at Tsukiji Market, you can walk and talk about it while crossing this bridge. Although the Kachidoki Bridge is actually a movable bridge, it is now immovable due to the heavy traffic that crosses the bridge. At night, the bridge lights up to delight onlookers. 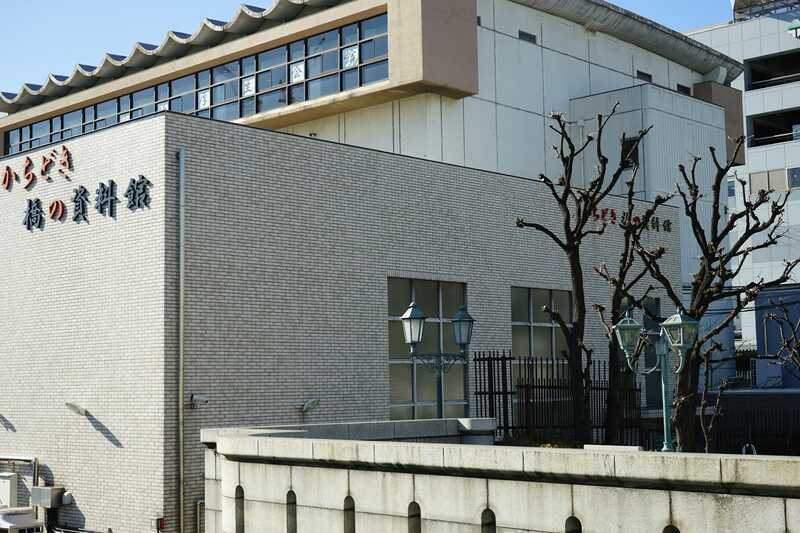 The Kachidoki Bridge Museum holds a bridge pier observatory tour every Thursday. 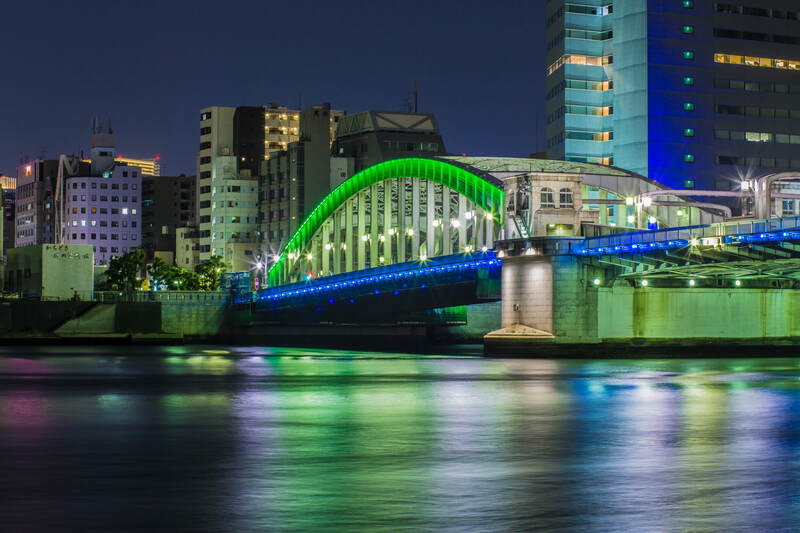 Kachidoki Bridge is a 246 m long arched bridge. You can easily walk across it making it one of the great sightseeing spots near Tsukiji. 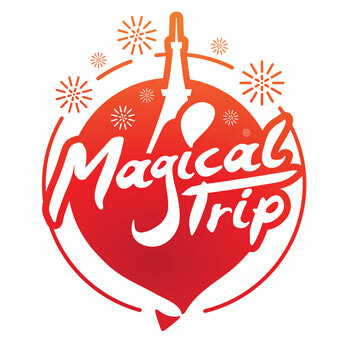 You can enjoy the skyline of Tokyo Tower and buildings along the Sumida River from the bridge. We also recommend to see the Kachidoki Bridge from the Sumida River Terrace. At the museum, you will be transported back to 1940 when the bridge was completed. The Kachidoki Bridge is a movable bridge completed in 1940. Currently, the bridge doesn’t move due to the increase of traffic over the bridge. The Kachidoki Bridge Museum opened in 2005. 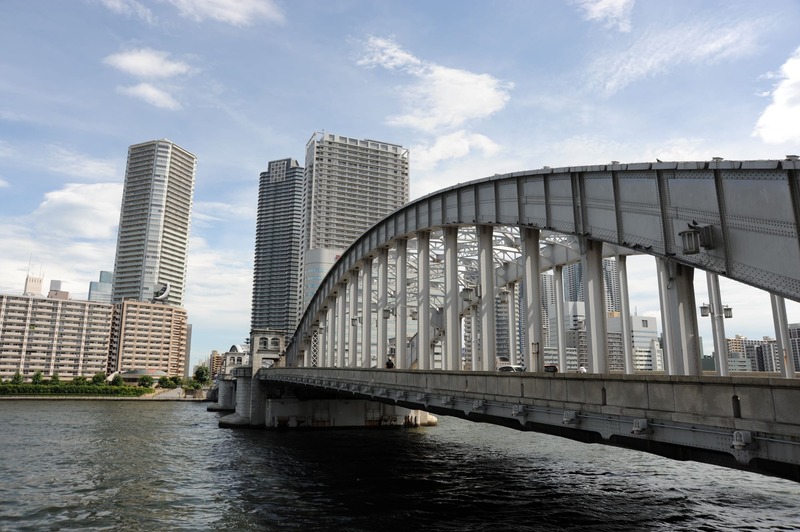 There you can learn more about movable bridges that have almost disappeared in Japan. Don’t forget to sign-up for the Museum’s observatory tour that is held every Thursday.